The first multiple World Supercross Champion has been confirmed for the Monster Energy S-X Open Auckland, and the entire Monster Energy S-X Open International Supercross FIM Oceania Championship, with Chad Reed announced today. With two World Supercross titles to his name, Reed is the most prolific and successful rider to ever compete in New Zealand, with the Aussie setting his sights on winning the inaugural S-X Open Supercross FIM Oceania Championship, with the finale at Mt Smart Stadium on November 24. Plenty of fireworks, both on and off the track, are expected on November 24 at Mt Smart Stadium with Reed set to throw it all on the line against the current World Number 5, Justin Brayton. “When I heard [Justin] Brayton was heading to Auckland in November I rang the promoters and said, ‘I’m in’,” Reed stated. “Last time we went head-to-head in the Southern Hemisphere it was an all-time battle at the AUS-X Open, but I got the upper hand and I plan to take him down again in Auckland this year! Touted as one of the greatest Supercross showdowns New Zealand has ever seen, Reed, the 2016 AUS-X Open Sydney – Champion is hungrier than ever at the chance to claim the inaugural S-X Open Auckland and FIM Oceania Championship crown, after missing the back half of 2017 through injury. “I’ve never raced Supercross in Auckland, so I’m really looking forward to heading there to compete for the first time, especially for the chance to win not only the S-X Open Auckland crown but becoming the first ever S-X Open International Supercross FIM Oceania Champion”. “I spent many months in New Zealand back when I turned professional, I love the place and the people, so think it’s going to be an awesome event at Mt Smart Stadium,” Reed added. Presale tickets to the S-X Open Auckland will be available to all Pre-Sale subscribers from 9 am NZST tomorrow [August 14] via Ticketmaster, which is the ultimate chance for fans to grab the best seats before they’re available to the public on Thursday, August 16. For full ticket pricing details head to www.sxopen.com. S-X Open International Director and Co-Founder – Ryan Sanderson, claims that to have Reed as the first multiple World Supercross Champion rider confirmed for the event as well as the entire S-X Open International Supercross FIM Oceania Championship was a huge coup for the overall series and he assures fans there’s more exciting news to come. “To have Chad [Reed], one of the best Supercross riders ever, to compete in Auckland will be an experience that New Zealand fans won’t want to miss, and watching the world’s best against the Kiwis and the Aussies, going head-to-head, bar-to-bar, is a something that all sports fans will love to see,” Sanderson stated. The announcement that the S-X Open Auckland will be the finale of the new S-X Open International Supercross FIM Oceania Championship, is really exciting claims Adam Bailey – Director and Co-Founder. “To be able to expand into new markets with the addition of the S-X Open Auckland to be held in one of the greatest stadiums in New Zealand, and then to have Reed, one of the world’s greatest ever Supercross riders there to challenge for the Championship trophy, is something that Supercross, motorsport and action sports fans in New Zealand will not want to miss this November 24,” Bailey exclaimed. Supercross is fast becoming one of the most entertaining sports on the planet with athletes literally putting their lives on the line flying over 50 feet in the air, banging bikes mid-air, to gain a place or that microsecond, to make the winning pass. 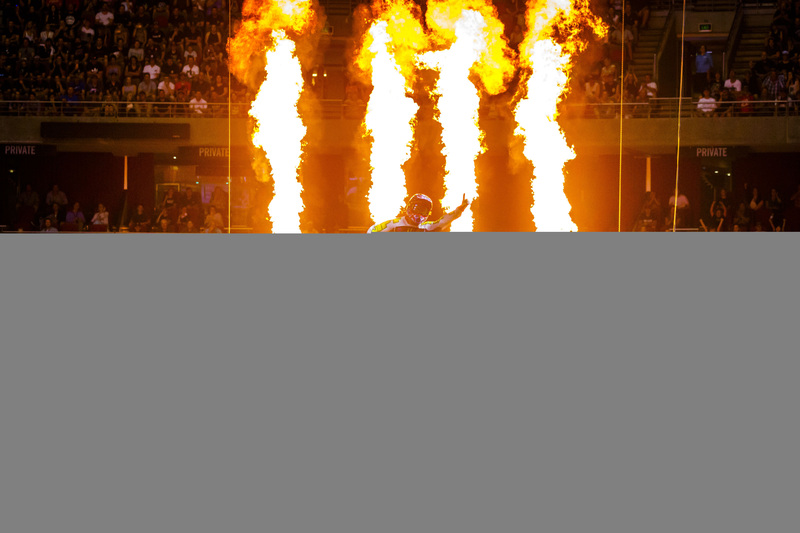 The Monster Energy S-X Open Auckland will feature pyrotechnics, live music and first-class concert like entertainment values, just a short drive from Auckland’s CBD at the world-class Mt Smart Stadium; with a pit party area accessible on the outside of the stadium for all motorsport fans to get up close and personal with their favourite teams and riders. It promises to be an amazing spectacle for all ages to enjoy. Further announcements regarding the athlete lineup, an exciting new racing schedule and more are still to come. Signing up for the ticket pre-sale ensures first preference of ALL ticketing and seating for the 2018 Monster Energy S-X Open Auckland, commencing at 9am tomorrow, Tuesday 14th August. With tickets starting from as low as $39NZD* fans are urged to visit www.sxopen.com and sign-up for presale today, to avoid missing out on what is touted to be the greatest action sports show to hit Kiwi shores.